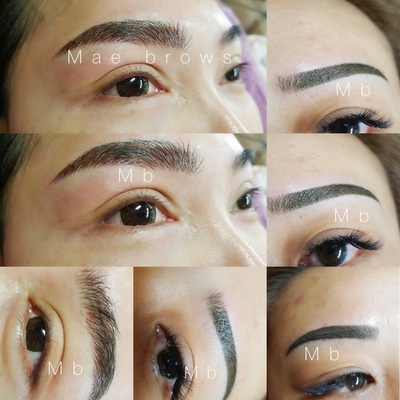 Mae is from Malaysia and she has over 10 years of experience in microblading and semi-permanent makeup. Mae has travelled and gained skills many years ago in Taiwan, Malaysia, Korea and UK where she currently lives. When Mae moved permanently to UK 10 years ago microblading wasn’t well known and there was no one who did microblading here yet. Mae used to do microblading in her birth country Malaysia 10 years ago before she came here to UK, she did practice and work hard to achieve the highest level of knowledge and skills and now Mae wants to convey it to all of you. 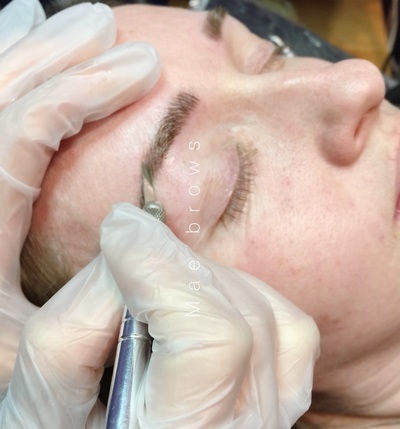 WHAT IS MICROBLADING & HOW IT DIFFERS FROM SEMI-PERMANENT TATTOOING ? Microblading – semi-permanent eyebrow procedure that is carried out by a qualified technician using a specialist hand-tool which holds disposable microblades. It differs from conventional semi-permanent tattooing by the very fact that it is a manual procedure. The colour is disposed closer to the surface when using a hand held microblade, than when a machine is used leaving very fine and crisp hair strokes with no spilling under skin. Microblading usually lasts between 18-36 months, after this period of time may need a colour boost or refresh yearly. WHO CAN HAVE MICROBLADING DONE ? Microblading can be done to anyone, if there are no contraindications e.g. allergy. The microblading Certificate will be given to you on completion of your training. PLEASE NOTE: FOR BEGINNERS COURSE YOU ARE REQUIRED TO PURCHASE AN STUDENT INSURANCE, WHICH CAN BE PROVIDED BY ABT. Experience required – at least 1 year in semi-permanent makeup. After completion of training you will get award certificate. All the training will take place at the same hours, each day 10am-4.30pm. After successful completion of your course you will get Certificate. Courses are accredited by ABT Award - recognised qualification provider in the UK. Please ensure you have comfortable shoes on the day of your training and salon wear/uniform ( salon wear can be purchased at professional beauty supply shops and online e.g. eBay or amazon ). If you don’t pay the training fee at due time you will be charged £20 and reschedule of your training may be required. You need to inform me at least 2 weeks before if you are unable to attend your training and/or if you need to re-schedule your training. Do it ASAP to secure another place as waiting time for available training may be long. The fee for microblading training is non-refundable. All the payments must be made by paypal. Beginners and Advanced (2 days) – deposit of £800 required to secure the place. All payments can be made by PAYPAL or bank transfer. Payments must be made in full at least 2 weeks prior to training date.